Hybrid agency Purplebricks and website allAgents have failed in their bid to reach agreement over the accuracy and source of a series of disputed customer reviews. Meanwhile a much lengthier statement from Purplebricks, passed to EAT last evening, says: “The situation with allAgents has arisen because we were concerned that there were fake reviews on their website and so we performed an audit of the published reviews. Last week we sent a sample of these reviews for allAgents to substantiate and verify. “The reviews included a range of characteristics that suggested to us that they were not legitimate; for instance, the LPE referred to in the review did not actually work in the area or postcode concerned, the email address did not match any known customer of Purplebricks. “To date we have received no response from allAgents as to their legitimacy or verification. Nor have we been provided with any means of identification by allAgents such that we can authenticate that the authors were customers of ours. The dispute has been well-documented in the industry press. In September AllAgents, for the first time ever, suspended an account - that of Purplebricks - because of what it described as "repeated threats of legal action forcing the removal of negative reviews from our website”. Purplebricks disputed the accuracy of at least some of the reviews, which produced a very different picture of the agency than that which comes across from its reviews on the Trustpilot site. However, in October news broke of talks between the two sides in Scotland. These continued and are believed to have ultimately involved input from Purplebricks chief executive Michael Bruce. These are the talks from which allAgents has now withdrawn. 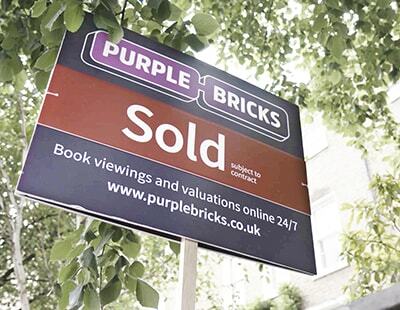 During the course of the dispute, Purplebricks has claimed that it has repeatedly asked for information from AllAgents to prove the authenticity, or otherwise, of the reviews. Meanwhile an AllAgents crowdfunding appeal - aiming at £50,000 for legal fees the site may incur if it again displays disputed reviews - narrowly failed to meet its target by under £5,000. Here is the astonishing thing. Go to all agents home page. And there is a box that says find agent by name and it says e.g. Purple Bricks , Countrywide TALK ABOUT FREE ADVERTISING !!!!!! Come on All Agents get the message right !!!!!! I've no beef with PB, personally, I think it will unravel soon as the LPE's are under a ridiculous amount of pressure to sell services they cannot cope with to deliver but time will tell. What I don't get is them taking umbrage with 'fake reviews' on AllAgent when so many of the Trustpilot are fake reviews from family & friends (as admitted to me by people that work there). You live by the sword you die by the sword. Trustpilot now has reviews from over 31k customers. Who knew April Fools was 8 months late this year?